Urbanisation is a driver of bird declines in many cities. Land managers often manage green spaces as wildlife refugia. We examined the value of some of these refugia and found that not all forms of vegetation restoration serve the needs of the bird species we would like to retain in our cities. Our analysis suggests that there needs to be careful thought about which bird species are the targets of our conservation efforts prior to implementing them. Native bird species are in decline in many parts of our landscapes. That decline is even visible in our own back gardens. Urban development, through intensification and expansion, poses a serious threat to wildlife living in green spaces scattered around cities. Protecting and restoring green spaces is important, as cities often overlay highly productive areas that are hotspots for biodiversity. Retaining our native bird species is important in itself, and it’s also one way to connect people to nature, and to promote a conservation ethic among society. 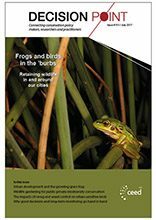 Habitat restoration is an activity often undertaken by local councils, non-government organisations and environmental consultancies. A common goal often cited in these efforts is to ‘increase biodiversity’. This goal is vague at best, as clearly some species can be viewed as more valuable conservation targets than others. Increasing populations of common birds like noisy miners and magpies, probably isn’t synonymous with increasing small song birds like fairy wrens and silvereyes. It is important to identify how individual bird species and groups of birds are interacting with habitat restoration actions to ensure these efforts are promoting the species which we want to inhabit our urban parks. Habitat restoration is expensive to implement and such effort is expected to benefit urban bird diversity. However, birds known to be sensitive to urbanisation may not be interacting with restoration in the ways we anticipate. 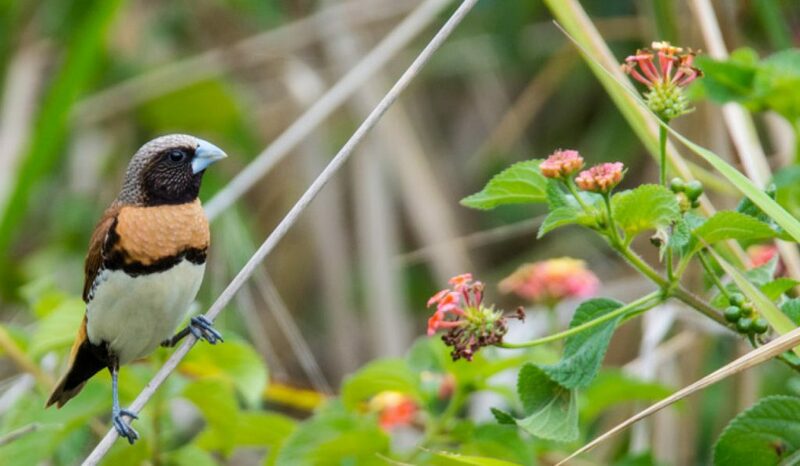 For example, controlling weedy plant species, such as lantana, and revegetating with native species are two common restoration actions but how do they benefit different bird species? We wanted to know if these restoration actions are benefiting birds that find living in cities difficult; or if they simply benefit those species that have adapted well to urban environments (species that already call cities their home). To answer this we surveyed birds in restoration sites in Brisbane. These sites are owned by local councils and maintained by community members and the main form of restoration they have experienced are revegetation and weed control. We then applied a hierarchical community model to estimate the response of different bird groups to these management actions. The three groups we examined were classed as: urban exploitative, adaptable and sensitive bird species. This allowed us to create probability curves of individuals and species group responses to urban restoration. Providing probabilities of ‘success’ for individual species and species groups expands the information available to land managers within their decision-making space. We found that birds most reliant on nature in cities do not seem to benefit in patches that have been controlled for weeds, while birds which exploit the urban environment do benefit. These shifts in diversity might relate to the possibility that shrubby habitat, whether they are native plants or exotic weeds, are needed by bird species that are sensitive to urban landscapes. Or it could be an effect of territorial species such as noisy miners infiltrating and displacing birds in these areas. This could have serious implications for urban bird diversity, which may have flow on implications to the way in which cities experience and relate to nature. Revegetation, on the other hand, seems to benefit all groups of species, even though some individual species may suffer declines in abundance. Habitat restoration is a common conservation practice in cities; and we put a lot of time, money and effort into making it happen (especially in community managed spaces). To achieve a greater conservation benefit from these areas, especially for birds that rely on these greenspaces, a change in the way we implement these actions is needed. To increase bird diversity within cities, we need to disentangle the effect of different types of habitat restoration and make sure we are managing these areas with urban-sensitive species in mind. Can we also have a study on “To mow or not to mow”? With the advent of bigger and better mowing machines, many council parks I visit are being mowed more often and in wider areas than ever before, leaving no cover for the many small birds that use long grass as cover. Eagleby Wetlands is a good example and is also a good example of small birds being affected by the removal of lantana and other weedy species. There is some reveg being done (slowly) but the recent floods wiped a lot of that out – the lantana that was not yet removed survived the flood! Hey Sandra, that’s a great idea! My hunch is that you would see the same effect that I found with lantana. The frequency of flooding is another reason why I think that lantana is such a refuge for sensitive species in Brisbane, as it bounces back quickly (or at least faster, and cheaper, than constantly restoring these areas with native species). Alternatively, it could be more related to that fact that Noisy Miners tend to avoid lantana thickets and prefer open (and mowed) patches. I know that Hugh Possingham has been tirelessly trying to retain long grass at Oxley Creek Common for its importance to small birds. I have sent my research to local councils in hope that it could inform future practices. On my property on the Sunshine Coast, removing the latana allowed the native raspberry to take over. This appears to suit the small birds, although the bandicoots weren’t impressed. As the new native trees take off and form a canopy, the raspberry is forced to the sunny edges providing the best of both worlds. The native raspberry is a much underrated reveg. species, probably because it isn’t much fun to work with. But the small birds love it. It might not be ideal for areas that experience heavy use, but less frequented areas would undoubtably benefit from this species to replace lantana as habitat. I would guess that it could outgrow lantana in some situations. And on the subject of mowing, I am encouraging kangaroo grass and barbwire grass to replace the exotics. The fairy wrens seem to like it, although i have yet to find them nesting in it. I am very much in favour of less mowing particularly along creeks. We used to have fairy wrens and other small birds along our patch of Enoggera Creek until council started intensive mowing (partly in response to perceived threat of attacks on joggers on the bike path). 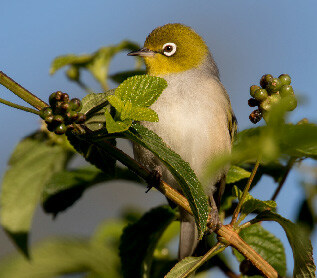 Gradual replacement of exotic invasive species such as Blackberry & Lantana would seem to be appropriate so that small birds aren’t immediately deprived of habitat. Mowing seems to advantage some species & disadvantage others. This suggests we need areas large enough to accommodate both mown & unmown areas. In a natural setting there would be mown areas nibbled down by Kangaroos & unmown areas untouched by grazing. What is the key to good environmental decision making?